Isaac had his 6th birthday on Sept. 20th!!!! I can not believe that he is 6, wow!!!! He had his first sleepover party with Eli, Miles and Yoni...and boy did they have fun!! As you can see we had to do a little separating.....Eli ended up in our room for the rest of the night!!! It was a lot of fun!!!! Love you Issac, Happy 6th birthday!!!!! Some pics from our trip to Ethiopia!!! These faces that you have just seen are the people that YOU our Gobena supporters are helping......Thank you! Come on by and have a cup of joe with us!!!!! 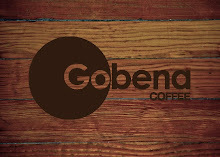 Gobena Coffee Promo from Lifesong on Vimeo. Luke and I returned from Ethiopia yesterday. We were blessed to go with our wonderful friends Steve and Danae Lehman who started Gobena Coffee a little over a year ago. 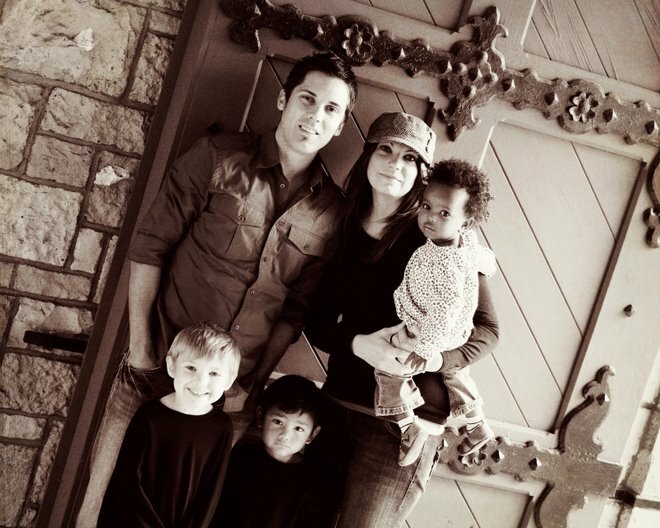 Visit the Gobena website (www.gobena.org) to read their story. We left for Addis Ababa, Ethiopia on Thursday, September 3 and arrived early, early on Saturday. We were picked up by some Steve and Danae’s friends who have been missionaries in Ethiopia for the last 10 years. We slept from about 4am-11am and began our packed schedule that Gary and Peggy had planned for us. We went to an Ethiopian restaurant and experienced our first of many servings or injera and coffee. Then we headed to a group home that houses about 7 kids that Gobena helps to fund. We had more coffee, a tour, and the kids read from the Bible, sang, and prayed for us each by name. That was the first of many experiences that will be engraved on my heart forever. We then did a little bit of shopping for souvenirs, and checked into our hotel, had dinner and macchiatos, and waited for the rest of the team we were meeting up with to arrive. We got up early Sunday morning to make the 2-3 hour drive to Ziway for church. We experienced incredible worship and prayer and listened to a message from one of the men on our team, which was translated for the people in the church. We spent some time with the kids in the church who loved to have their picture taken and loved just to hold our hands. We would sometimes have 2-3 kids holding onto each arm. We toured their small school and the church building that has been partially finished for 7 years because they don’t have to funds to finish it. They are currently meeting in a very small “building” where a lot of the people have to sit outside. They don’t seem to mind as long as they can worship their Savior. We then had lunch and a meeting with the elders of the church to discuss the projects that they could use funding for. They want to build a school, complete the church building, and start a feeding program at the school for the kids. What struck many of us was that their first priority was hiring missionaries and evangelists to reach the unsaved in surrounding communities. Their love for Jesus and others never stopped shining through! We then went to a remote village where an 80 year old Muslim man donated some land to the Christians where they put a small church (a single small dark room with dirt floors). When we arrived, there were several people in it worshipping their Lord and one man preaching from the Bible. Within minutes of our arrival all the kids were in the church too! We then went to the home of the Muslim man and his Christian wife. It was a small, round mud hut with dirt floors. The man said he was submitting to Jesus because of what he saw from the Christians in the village. We went back to Ziway where the people of the church had a fish fry for us and presented us with a few gifts that they had made. Again, I was astounded by their love and generosity. We were supposed to be there to give to them and they fed us a wonderful meal and gave US gifts! The next morning we had breakfast and met with the engineer who designed the school. The government gave some land to the church to build the school and so we went to see the site. Everytime we stopped anywhere a small crowd would form around us, which gave us opportunities to interact with the kids and their moms and gave them any food we would have in our bags. They were all so grateful for the smallest amounts of food. We then went to the site were a bridge was being built over a river to connect a Christian village with a Muslim village. It was like we were back in Bible times. We saw women using donkeys to haul produce and bundles of sticks across the river to sell in the town. That was followed by more time at the church in Ziway with the kids where we played “London Bridge”, “Ring around the Rosey”, and some of the games that they played. We said our goodbyes to the kids and went for one more stop in Ziway. Two families invited us into their homes and fed us more injera, coffee, and popcorn. There was such peace in one of the houses. The family said it was because Jesus was there. In the other home a young, Christian woman shared about how here husband wasn’t saved and that he would come home and drink at night. They had a little boy named Mickey who told us in English how his name was Mickey, he was 7 years old, and he liked ice cream (although he has never had ice cream). One of the men prayed for her which brought her to her knees and tears poured out from her and many of us in the room. That was probably the greatest gift anyone could have given her. Although her life was extremely difficult she was full of joy and can’t wait until she meets Jesus in Heaven. She truly understands that our treasures aren’t here, but in Heaven for those of us who know Jesus as our Savior and submit our lives to Him. From there we headed back to Addis Ababa and had a meeting with the whole team to share what we learned from our trip there. The rest of the team headed out the next morning to fly to Zambia where they would continue their journey. Luke and I and the Lehman’s had another full day ahead of us on Tuesday that began with a meeting with the biggest coffee exporter in Ethiopia to see if it would be wise to get the coffee for Gobena directly from him. Our driver put us in touch with him after he learned about Gobena. He gave us lots of valuable advice, but we quickly learned we weren’t quite big enough yet to get coffee from him, but we know God can grow it as big and as quickly as He wants! We were laughing because we were all dressed in jeans with our backpacks on and he was in a suit in a nice office. We didn’t really realize how “big time” he was until we got there, but we feel that God presented that opportunity to meet with him for a reason and we can’t wait to see how He uses it in the future! After that we did a little more shopping and visited the mom of a woman from Ethiopia who lives in Dunlap who Steve and Danae know. She served us coffee and some Ethiopian food. Our next stop was an orphanage where there is a sweet little girl with a heart problem who needs surgery in the states to survive. The surgery would be taken care of if she can get over here. There are some things in the works to make that happen, so we are waiting and praying for God’s guidance on next steps. The orphanage was nothing like I imagined. It was a small cold, damp room with at least 10 babies. The kids would eat, play, and sleep in this room. The nurses loved them very much, but it still made me cry knowing that they didn’t have the love and individual attention that Mason does. I hope every one of those kids gets adopted into a loving family soon! Our last stop was at a couple’s house who are our age and have completely given God their lives to use as He wants. They have been missionaries in Ethiopia for about a year and a half and have 2 kids of their own, 1 in the process of adoption, and 1 little boy who they are taking care of until he is adopted. They have some incredible stories of God’s provision when He was leading them to do something that seemed impossible to do because of lack of money. He showed up time and time again and gave them just what they needed when they needed it so they could do His work. They give all the glory to Him, and I am truly inspired by this couple. From there we killed some time at Kaldi’s (an Ethiopian Starbucks) then headed to the airport to begin our LONG journey home! There are several things that will stick with me forever about the people of Ethiopia. First is their unconditional love for Jesus Christ and the constant praise and worship they give Him. Most of them have NOTHING except a little bit of food, self made shelters for homes, and a few items of clothing, yet they praise Jesus like no one I have ever seen. Second, the love and generosity they pour out despite the little they have. Thirdly, I will never forget their joy and sense of togetherness. They need help, but I would hate to see them turn out like us in America. For the most part, we are busy, stressed, self-absorbed and impersonal. I could never use any of those words to describe the Ethiopians. Personally, I was given a lot of hope from being there. It doesn’t cost a lot to make a difference there. Gobena and Lifesong for Orphans and other people and organizations are raising money to provide things that will create jobs and help them to be able to take care of themselves and their families. The cost of building a school is less than most of our houses. Know that any money you give to Gobena and Lifesong IS making a difference in a big way! Also, this was my first time out of the country besides the resort areas of the Bahamas and Mexico. And this was the first time Luke and I left Mason over night (nothing like going half way around the world for 6 nights for the first time). I knew God was calling us to go and refused to let fear be the reason we wouldn’t go. Fear is from Satan. God took away all my fears and worries about leaving Mason and being in one of the poorest countries in the world. There was never a moment where I felt uncomfortable or unsafe and Mason did great without us! We met so many amazing people, Americans and Ethiopians, and learned so much from them. I was expecting to go and help people or witness to people about Jesus. It turns out that they probably helped/taught me more than I taught them. I have a love for those people that I never imagined I could before going there. I pray that you can someday experience the same things we did on the trip and that for the time being you will do what you can to help them through prayer and supporting organizations like Gobena Coffee. Luke and I hope to go back in the next couple of years and are so excited to see what God has planned for us, Gobena Coffee, and the church in Ziway that we are working with! If you made it all the way to the end, thanks for reading about what God has done on this trip although I’m sure there is much more that I left out! Heading to Africa tomorrow to check out the projects that you our Gobena Coffee supporters are making possible.......many pics and video to come so you can see EXACTLY where your money is going....100% of it!!! !